21 Cookie Subscription Boxes You Won’t Want To Cancel (EVER) , cupcake, and candy subscription box lists. There's really too much to try out there, so take your time! These subscriptions are the perfect way to take advantage of Cravory’s amazing flavors. Cravory is well-known for their cookies. They have an impressive variety of flavors. Some of these are available all year round, while others are seasonal. 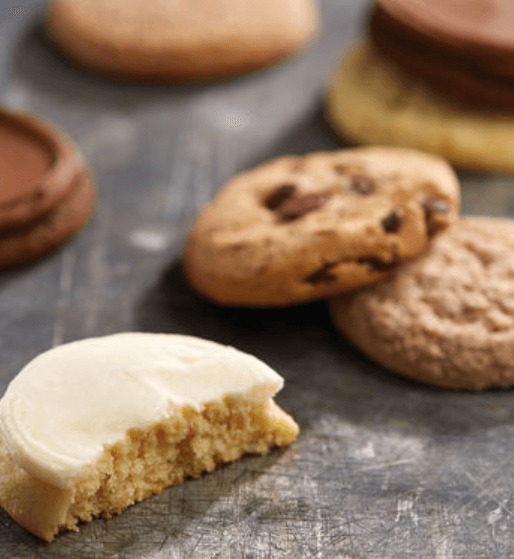 There is always something new to discover and Cravory Cookie Subscriptions make it easy to do so. 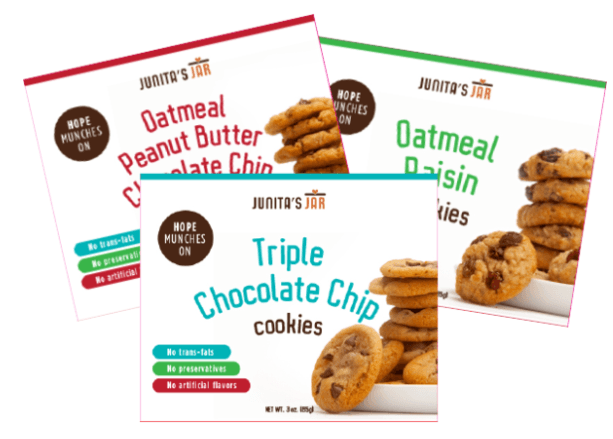 The company offers multiple subscription options, including half a dozen, 1 dozen or 2 dozen cookies per shipment. You can also choose whether you want to pay for an ongoing subscription or pre-pay for a set time period. Regardless of the option you choose, you’ll get a mixed box of cookies. The flavors will always be unexpected, as Cravory creates 6 new cookies each month, with flavors that often relate to the season. This sweet treat club provides Mrs. Fields cookies every month. This Treat of the Month Club is a fun way to give cookies. 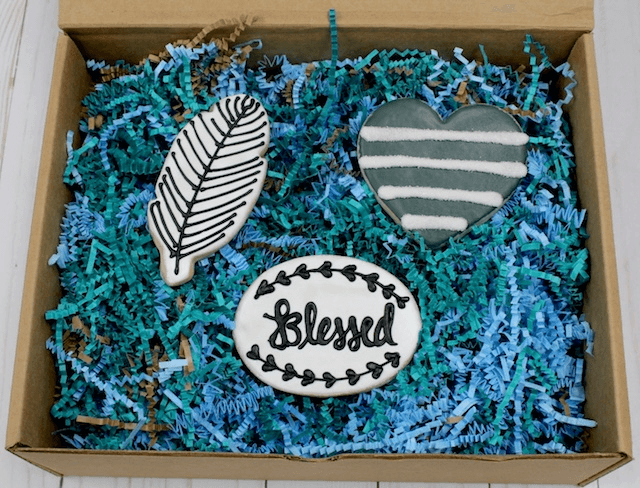 It is a seasonal subscription box, so the cookies will often be relevant to the time of the year. This can mean that you receive fall leaf cookies in the colder months and flowers in the spring. You can choose between a 3-month, 6-month or 12-month subscription – for $44.99, $79.99 or $149.99, respectively. Shipping is free regardless of your choice. The style makes this subscription a great gift (or you could just enjoy the cookies yourself!). This cookie club would be ideal for diabetics. Cookies don’t have to be packed with sugar. There are some healthier alternatives too, like this Sugar Free Cookie of the Month Club. The club provides you with a selection of 12 individually wrapped cookies on a monthly basis. These could be easily taken with you to work or kept in a drawer for special occasions. The subscription features the same 6 flavors each month: lemon, snickerdoodle, oatmeal cinnamon, chocolate chip, buttercream frosted and chocolate frosted chocolate cookies. You get 2 cookies from each of those flavors for $17.99 each month. The lack of variation is slightly frustrating. Getting a surprise is normally a key feature of subscription boxes and this version provides no surprise at all. Still, the club could be appealing if you enjoy the flavors on options. At least you can be certain you won’t get any unappealing flavors in the mix. This club offers a large selection of buttercream cookies that you’re certain to love. If you enjoy buttercream cookies, this Buttercream Cookie of the Month Club could be the perfect one for you. It offers 36 cookies each month, which are all individually wrapped. 20 of these are frosted flavors, while the other 16 are frosted seasonal cutouts. The flavors will always be a surprise, as they vary from one month to the next. You’re certain to get good flavors, as the club features some of the most popular choices from Harry & David, such as mocha latte, strawberry sugar and salty caramel. You can order the club as a 3, 6 or 12 month subscription, starting at $99.99 for 3 months. That might sound relatively expensive, but you are getting a large number of cookies for the price. Here’s another cookie style to consider. This Gourmet Cookie of the Month Club comes from Harry & David too, but it follows a different style again. This time, the monthly box contains 12 individually wrapped cookies, for either $12.99 or $14.99 per month. While the 12 cookies are always the same flavor as one another, the chosen flavor varies from one month to the next. For example, June features Honey Roasted Peanut Butter Chocolate and December features Chocolate Chunk. The style is a fun way to try out some new cookie flavors. It’s also an inexpensive choice. You might even choose to join multiple Harry & David cookie subscriptions at the same time, giving you even more cookies to choose from. Anyone who enjoys cookies is going to love this subscription. 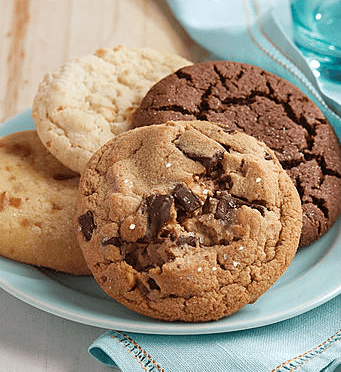 This Monthly Cookie Subscription is everything that a cookie lover could want. It provides you with a box of cookies every month, with enough cookies to serve 6 to 8 individuals. You’re not going to be stuck with just a single type of treat either. There are plenty of different styles, such as truffle stuffed, chocolate chunk and chocolate dipped. Mmm. All that chocolate makes me think of chocolate of the month clubs! The subscription costs $39 per month. That’s reasonable for how many cookies you’ll get in each shipment. You can also be certain of a varied selection, so you won’t get bored of the offerings. 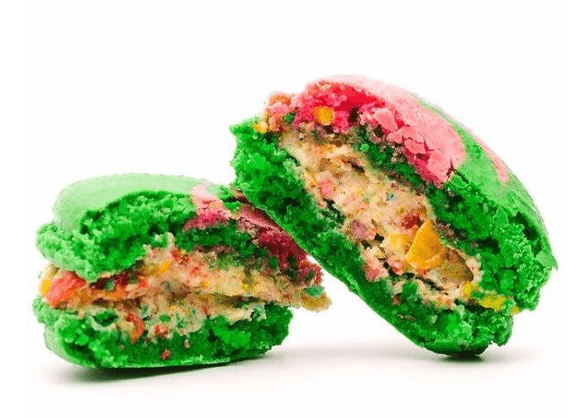 This company focuses on unusual macaron flavors, ones that you won’t find elsewhere. Macaron subscriptions aren’t all the same. This version from Airy Bakes shows the pattern, simply by the unusual flavors that they focus on. In fact, different flavors are a key selling point for this company. They try to be unique and include flavors like Salted Caramel, Lychee Raspberry Rose and Strawberry Shortcake. The flavors aren't the same month-to-month either. Airy Bakes varies these so that you’re always getting new types to try out. There are 3 subscription durations for you to consider. The 3-month version costs $120. The 6-month costs $250 and comes with a month free. Finally, the 12-month costs $590 ($500 on sale) and includes 2 free months. 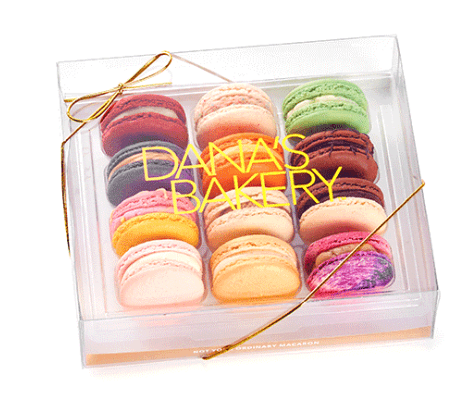 Dana’s Bakery offers a particularly popular macaron subscription. Dana’s Bakery offers various types of cookies, but their main focus is on macrons. This is why their online store features so many different types of macarons. There are even macaron stuffed cookies that you can purchase. With the subscription program, you’re receiving a Dana’s Bakery Variety Pack every month. 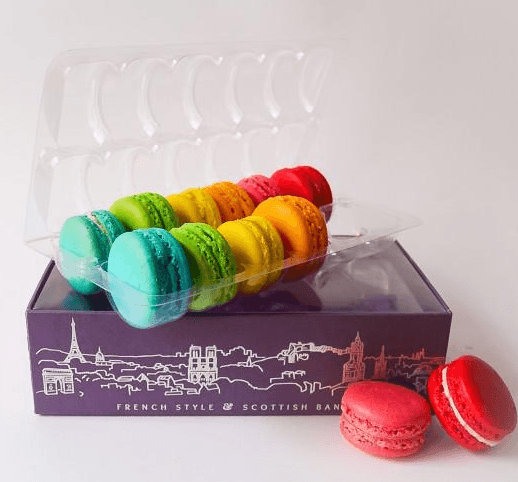 The pack contains 12 different macarons, all in different flavors. The macrons are also gluten free and are made using almond flour. The subscription is expensive, costing a base rate of $51 per month. This changes slightly with higher membership lengths, as you can sometimes get a free month or 2. Thankfully, the macarons are amazing. Many people would feel that they’re worth the price tag. Love Macarons? Here's our full list of macaron subscription boxes. 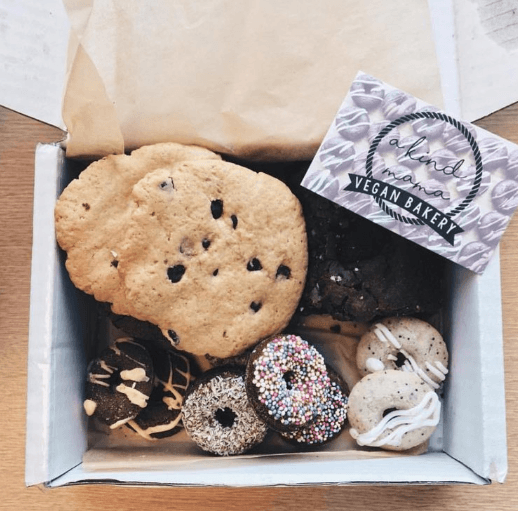 This vegan company offers a simple cookie subscription box. The subscription from Tubby Taste Vegan Desserts for Everyone isn’t especially complex, but that’s not a bad thing. With it, you’re simply signing up for a 3-month subscription box, which costs $24.95. The subscription provides you with 12 vegan cookies each month, in 1 of 3 flavors. The flavors rotate between Oh. Wow. Yum! (a chocolate chip cookie), Speakeasy (oatmeal rum and raisin) and Taste of Paradise (coconut, cinnamon and oatmeal). Those flavors are all cookies that the company regularly offers, although the names aren’t very helpful. There are no additional options for the subscription. Because it only lasts 3 months, you’d need to order again to get more cookies. Doing so would provide you with the same flavors again. Macarons often feature new and unusual flavors, but this subscription takes that to the next level. The nature of macarons means that they can easily be made in different flavors – more so than other cookies. This makes companies like Ma-Ka-Rohn particularly enjoyable. Ma-Ka-Rohn tries to release around 2 or 3 new flavors every month, while periodically retiring older flavors from their menu. The style makes their Macaron of the Month Subscription the best way to stay up-to-date with their new flavors. The monthly box features a selection of old and new flavors, giving you plenty of variety. There are 3 versions of the club, depending on how many macarons you need. The Classic membership provides 12 macarons for $21.69 per shipment. The Lover membership has 24 macarons for $43.29 each shipment and the Party membership has 35 macarons for $69.99 per shipment. While the different memberships vary in size, the larger ones don’t offer more flavors. Instead, you’re receiving more macarons of each type. For more options, check our macaron month club list. This subscription provides more control than other companies, which is always a nice touch. An important aspect of the Mollie B Cookies Subscription is the amount of control that you get. Most cookie subscriptions force you into a specific flavor pattern. That could include assorted cookies every month or the same sequence of flavors for each new member. 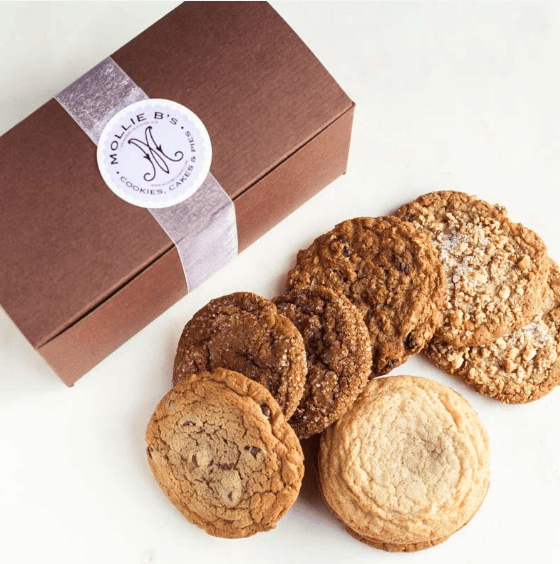 Mollie B Cookies takes a different approach, giving you 3 choices. You’re able to select 1 or 2 flavors for your entire subscription or have the company choose for you. Flavors to choose from include: Snickerdoodles, ginger molasses, oatmeal cranberry spice, honey roasted peanut butter and brown butter chocolate chip. If the company chooses, then you get an assorted mix each month. You can also select the number of cookies per month (1 dozen or 2 dozen) and the subscription duration (3 months, 6 months or 12 months). The price per month ranges from $28.95 to $65.85 based on your choice. 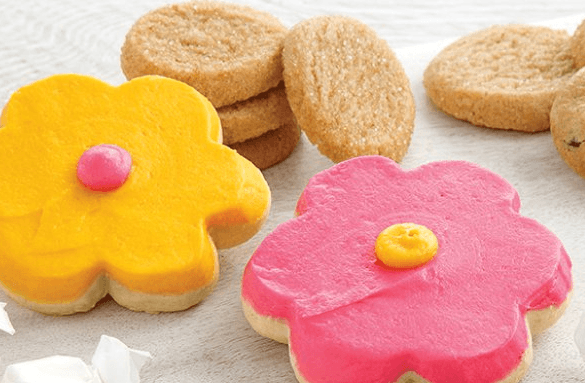 While this subscription program is relatively basic, it is a good choice if you want sugar cookies that look a little unusual. Calling this The Best Box Ever Bakery seems a bit ambitious, especially as the site itself is on the lean side. Their marketing states that you can choose various options for your boxes, including whether you want non-food bakery items included. Despite this, there are only 2 boxes to choose from and these both contain sugar cookies (and nothing else). The difference between the boxes is simply size – one contains half a dozen cookies, the other contains a dozen. In both cases, you’re receiving sugar cookies that have been hand decorated. It's a cool idea, as the cookies will look good and should be entirely unique. The half dozen version of the subscription costs $26 on a month-to-month basis, while the full dozen subscription costs $44. Both provide discounts if you pre-pay for 3, 6 or 12 months. 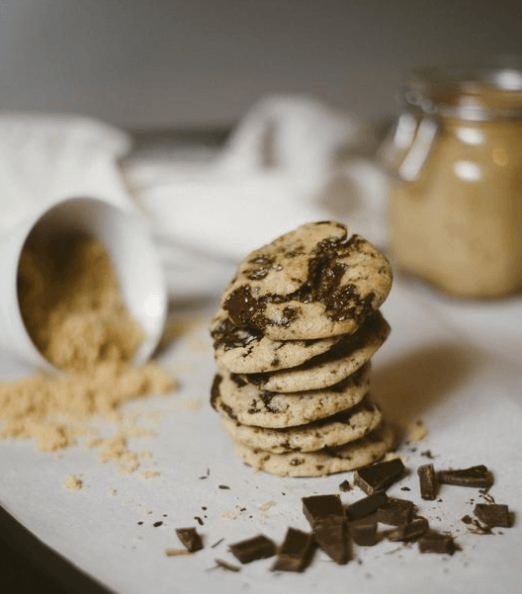 Here’s a simple cookie subscription that you can try out. 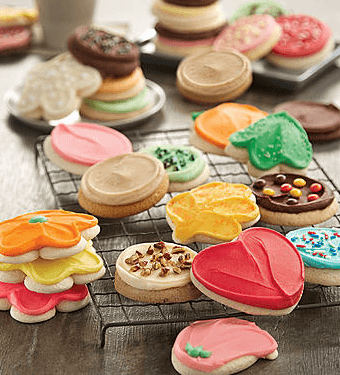 If you want a simple and inexpensive club, the Cookie of the Month Club from Dancing Deer Baking Co. could be a good choice. 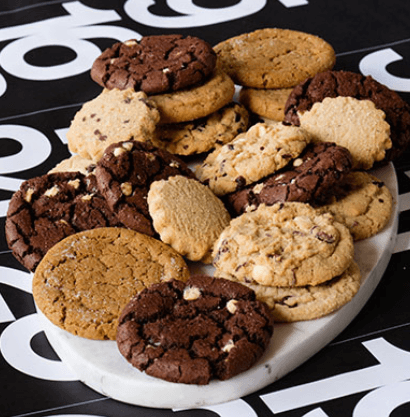 The subscription comes with a single type of cookie either month – either a shortbread or a chewy cookie. You’re getting roughly 1.3 pounds of cookies each month, although it isn’t clear how many cookies this calculates out to. You can order the subscription as either a 6-month or a 12-month membership. The price is $19.95 per shipment in both cases and you’ll be paying an unspecified shipping fee on top of that price. Speaking of baking, you might like the baking subscription boxes where YOU get to make the treats! It's more work, but also more satisfaction! This subscription is a little different, providing you with prepackaged cookies. Unlike the other items on this list Junita’s Jar doesn’t offer handmade cookies. Instead, you’re receiving packages of cookies. Each of these contains 6 individual packages of 3 ounce cookies. The only subscription option is a 3-month membership. This costs $67 and is paid in full at the start. You choose the flavor that you want at the beginning of the membership. There are 3 to choose from: Triple Chocolate Chip, Oatmeal Peanut Butter Chocolate Chip and Oatmeal Raisin. This box works well for paleo dieters who love baked goods. 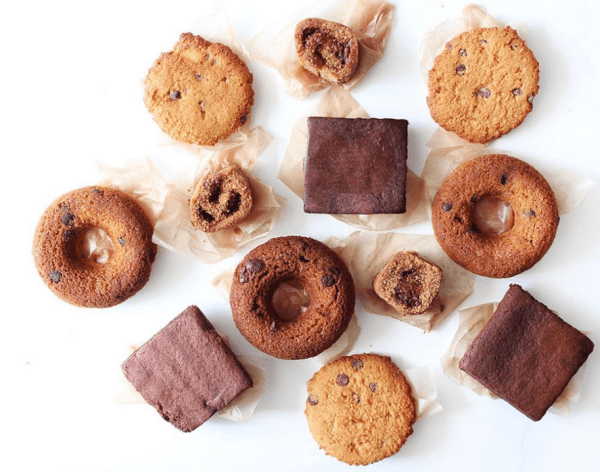 The Paleo Bakehouse Subscription Box actually focuses on baked products in general, rather than just cookies. That style can be appealing, as it means a little more variety. As the name suggests, all of the items in the box are paleo-compliant. This means that they are free from refined sugars, gluten and dairy, while also meeting other criteria. Because the focus is just on baking, you may not receive cookies every week. However, cookies are a common choice. For example, the December box contained 3 peppermint fudge cookies, 3 chocolate chip cookies, 3 snowflake cookies and 3 ginger snap donuts. So, out of the 12 items, 9 of them were cookies. Not too bad. The box is reasonably priced as well, costing just $24.99 per month. You can also see more paleo snack boxes for more choices. This subscription box focuses on vegan treats, rather than just cookies. As you can probably guess, A Kind Mama Vegan Bakery offers vegan treats. This is ideal for vegans and for anyone who is avoiding dairy. 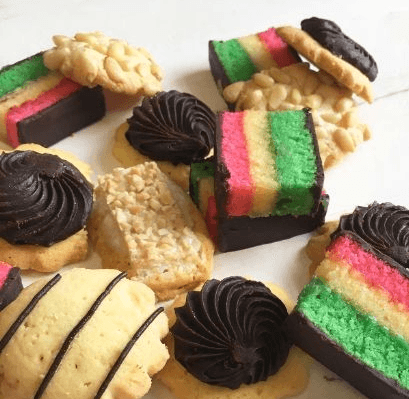 The company doesn’t have a specific cookie subscription, but they do offer a Mixed Treat Box. This can be ordered for 3, 6, 12 or 18 months. The box always contains 2 Oreo brownies, 2 chocolate chip cookies and 8 mini donuts. It costs between £13 and £16 per month, depending on your order duration. With this style, you’re not getting many cookies each month – but you are getting some. The mini donuts are also very appealing, as most subscriptions don’t feature these. Of course, we've got a whole list of vegan subscription boxes to keep you busy as well! While this is a nut-based club, their subscription program does contain cookies as well. Including a Nut of the Month Club on a list about cookies is slightly odd, but this club from WataNut does focus on both areas. 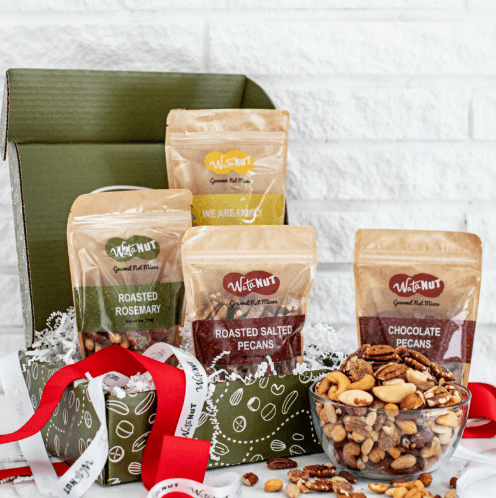 Their monthly club provides a gift box that contains 4 different containers of nuts and cookies. Some of the chosen flavors are common, while others are more unusual. There are 2 different box sizes to choose from – 12 ounces and 24 ounces. The 12-ounce version costs $24.95 per month, while the 24-ounce version costs $32.95. While the best choice is going to depend on your needs, the larger selection of snacks is a better deal. Besides, you can be certain that the cookies and nuts are going to be eaten. This macaron maker focuses on quality and creating ‘moments of luxury’. If you’re looking for quality, Mademoiselle Macaron is a good choice. The way that the company focuses entirely on macarons means that they know exactly what they’re doing. Of course, this does mean that you’re receiving macarons onlym rather than a selection of different cookie types. The monthly macaron subscription is pretty cool too. It starts at £19.99 per month, with the cost decreasing if you sign up for longer. As well as providing you with 12 macarons each month, you also receive a container of loose leaf tea. This is an unusual choice, but an appealing one. The flavors of macarons and tea do complement each other, especially when the tea has been chosen for that purpose. You’re not going to get the same flavors each month either. 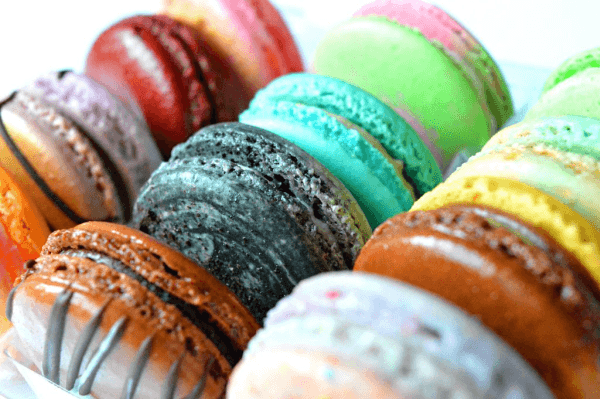 Mademoiselle Macaron aims to provide a selection of the latest flavors. This should mean you always get something new to try. The site also mentions that you get an upgrade to a box of 18 macarons every 6 months, which is a nice bonus. This macaron club follows a different style than most, focusing on a featured flavor every month. 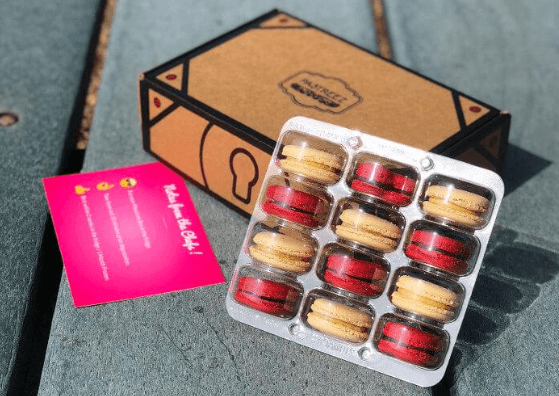 Nikkolette’s Macarons has many features in common with other macaron companies, but the subscription is a little unusual too. The biggest difference is that you’re not getting a variety pack of macarons each month. Instead, the company sends you out a set of a dozen macrons in their current seasonal flavor. This is a great way to actually enjoy one particular flavor, rather than just getting a small sample of many different types. The subscription also makes it easier to share macarons with others and means that you shouldn’t get any repeat flavors. There are 3 subscription lengths to choose from: 3-month, 5-month or 10-month for $102, $180 or $360, respectively. The last 2 are effectively 6-month and 12-month subscriptions, but you’re basically just paying for 5 or 10 months. 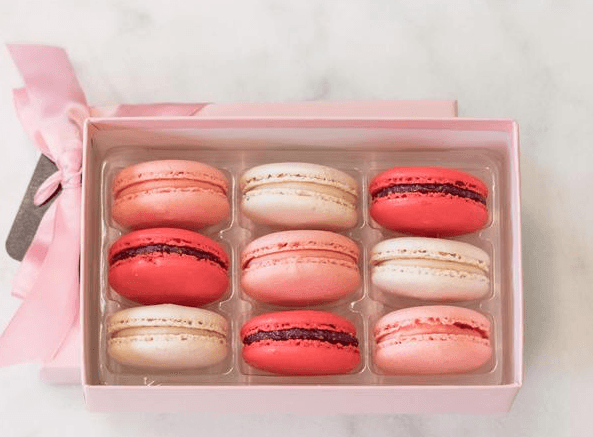 This is another subscription box that offers macaroons each month. Pastreez offers a nice balance with their subscription program. You’re not getting a large variety of flavors that can get overwhelming, but you’re not just stuck with a single flavor either. Instead, each monthly shipment contains 2 different flavors. For example, the December box featured Heart Raspberry macarons and Bourbon Vanilla macarons, while the January box will feature Cherry macarons and Coconut macarons. The macarons come packed in a custom-made box that protects the macarons, helping to keep them intact during shipping. The presentation makes the macarons look amazing. You can even include a gift note, just in case you’re planning to give someone else macarons. The subscription costs $19.90 per month (plus $8.90 shipping). You can also change the subscription frequency if you want to receive the macarons every 2, 3 or 4 months. The boxes from this macaron company simply look amazing. While the macarons from Olivia Macaron probably taste amazing, their presentation is what really sets them apart. The company uses elegant boxes with ribbon to make the boxes look good. 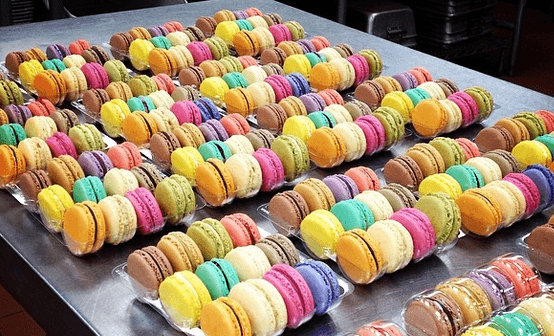 The macrons are often carefully arranged too, so that the colors complement each other. The subscription provides you with a variety of flavors each month. Some of these are signature flavors from Olivia Macaron, so you’ll see some of these repeated. Others are seasonal and may be less common. There are 2 subscription options to select from. The first provides you with 9 macarons each month for $24.30. Alternatively, you can purchase 20 macrons monthly, for $49.50. While the 20-pack subscription is a much better deal, the price might be too high for many people.